Are you tired of dealing with mascara clumps and smudges or are you put off by applying finicky false lashes? Do you wish you could wake up with beautifully long, low maintenance eyelashes that look natural and effortless? If so, then eyelash extensions may be the perfect solution for you! Eyelash extensions are a popular way to enhance your lash line for a full, soft, and elegant look. Comfortable and lightweight eyelash extensions can add curl, length, and thickness to your lash line without weighing down your eyelids. Eyelash extensions are artificial eyelashes that are added to your natural lashes to extend their length and thickness. A Silhouette lash technician can customize your desired look from natural to dramatic by selecting from the wide variety of lash lengths, curls, and thicknesses that we carry. Prior to application, the lash technician will discuss your desired lash look with you in detail to achieve optimal results. At Silhouette Spa and Laser, we offer both Classic, Volume, and Hybrid lashes. In Classic lashing, the lash technician adds a single artificial eyelash to each one of your eligible natural lashes to create a beautiful and soft look. In Volume lashing, the lash technician adds two to three lightweight artificial eyelash extensions to each one of your natural lashes for a fuller and more glamourous look. Hybrid lashing is a mix of Classic lashing and Volume lashing to create a texturized look. Applying a full set of lash extensions takes approximately one to two hours depending on the type and fullness of the extensions you choose. Since lash extensions are meticulously applied on a hair-by-hair basis, the entire application process does take some time. 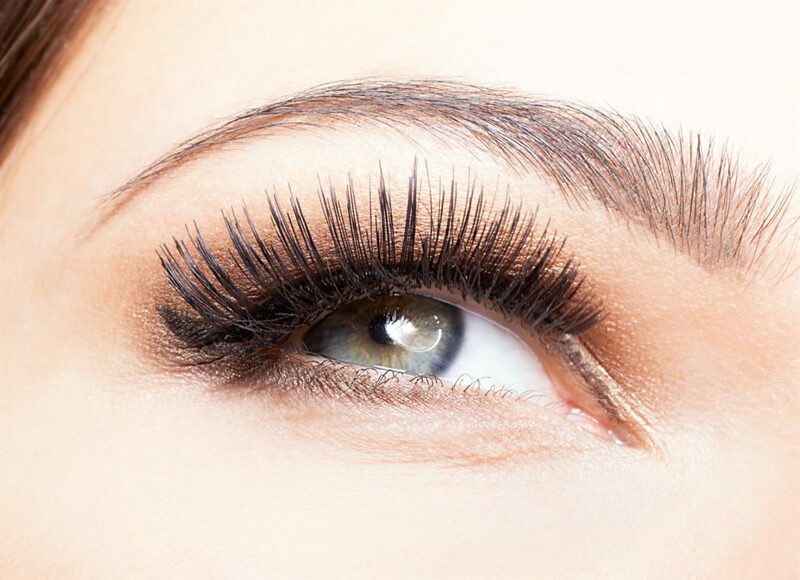 Lash extension refills typically take no more than an hour if you have your extensions filled every two to three weeks. Are eyelash extensions safe? What are the possible side effects of lash extensions? When applied correctly by a licensed and experienced lash technician, eyelash extensions are very safe. Our lash technicians are highly trained to apply adhesive and lashes in a skillful and gentle manner. In the unlikely event that you experience any stinging or discomfort during the lash treatment, notify your lash technician immediately; she may use another type of lash adhesive that is better suited to you. All adhesives used at Silhouette are medically-graded and formaldehyde-free and all of our lash extension products are Health Canada and FDA approved. Is it possible that glue will get into my eyes? As you are required to close your eyes during the entire lash application process, lash glue will not get into your eyes. Will my eyes or natural lashes be harmed by the application of eyelash extensions? When applied correctly by a trained and experienced lash technician, lash extensions will not harm or damage your eyes or natural lashes. With proper application to individual lashes, lash extensions will not cause your natural lashes to fall out. How should I prepare for my eyelash extension appointment? How can I maintain my eyelash extensions? How often do I need to get my eyelash extensions filled? With proper care (see above), eyelash extensions stay adhered to your natural lashes through a full growth cycle (generally six to eight weeks). At the end of each individual lash’s growth cycle, the natural lash will shed along with the applied lash extension. Therefore, we recommend a lash extension fill every two to three weeks following the initial application to maintain a fully enhanced lash look. If you wish to take off your lash extensions before they naturally shed, we offer lash extension removal services at Silhouette. A lash technician will carefully remove the lash extensions with professional eyelash extension adhesive remover leaving your natural lashes fully intact. Since lash extensions are already designed to create a full and fluttery lash look, many clients find they no longer need or want to use mascara in addition to the extensions. We generally do not recommend wearing mascara with your lash extensions as many mascara formulas are oil-based, causing the lash adhesive to deteriorate. However, if you do want to wear mascara on your lash extensions, we recommend using Beaute Rroir Volume Up Mascara since it is specially formulated to not break down the glue bond. Silhouette retails this mascara for $38.50. As mentioned above, we do not recommend that you use waterproof mascara on your lash extensions as it is difficult to remove and lash extensions may accidentally fall off during vigorous makeup removal. Our price for a full set of Volume eyelash extensions is $165. Fills are recommended every two to three weeks and are $75. Our price for a full set of Hybrid eyelash extensions is $150. Fills are recommended every two to three weeks and are $67. Our price for eyelash extension removal is $25. Are you curious to try eyelash extensions for yourself? Please reach out to our knowledgeable lash technicians for more information or to book an appointment. We would be happy to assist you!